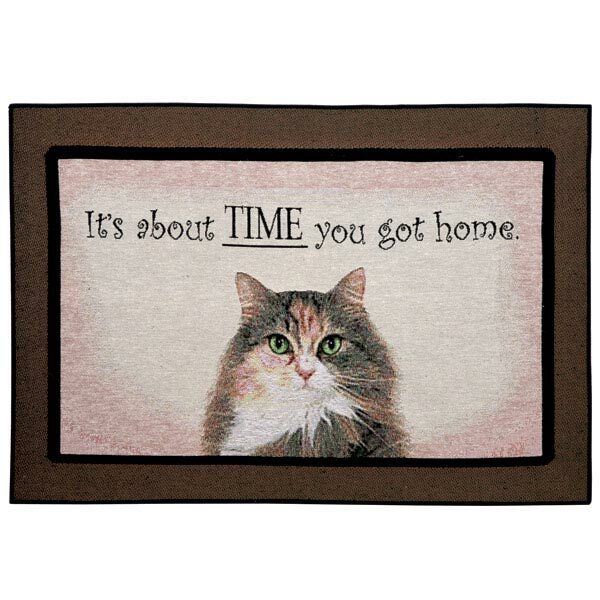 A great touch for any cat lover's home, our woven tapestry floor mat has rubberized backing to prevent slips; soft polyester/cotton surface will soon be claimed by the reigning cat-in-residence. Machine wash. USA. 27" x 18".